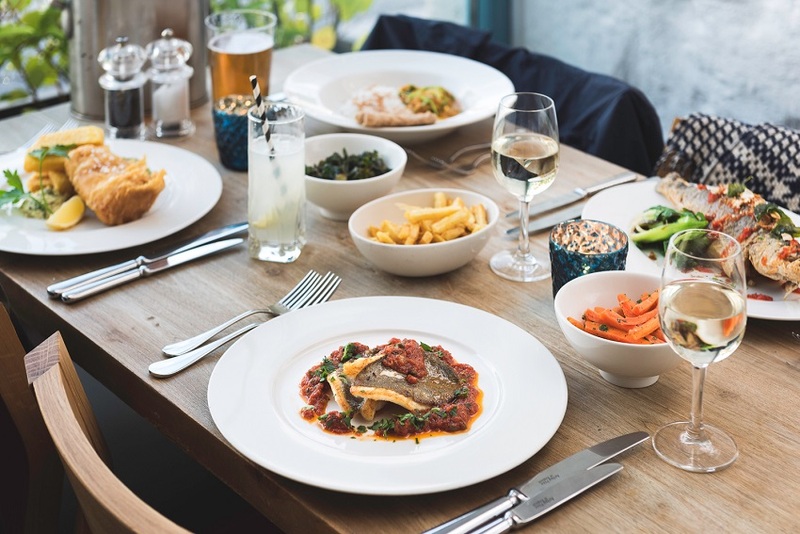 With fantastic harbour views, our restaurant in Porthleven uses local and seasonal produce to create dishes inspired by Rick’s travels around the world such as Goan cod curry, salt and pepper prawns, classic Cornish fish and chips, and steaks. 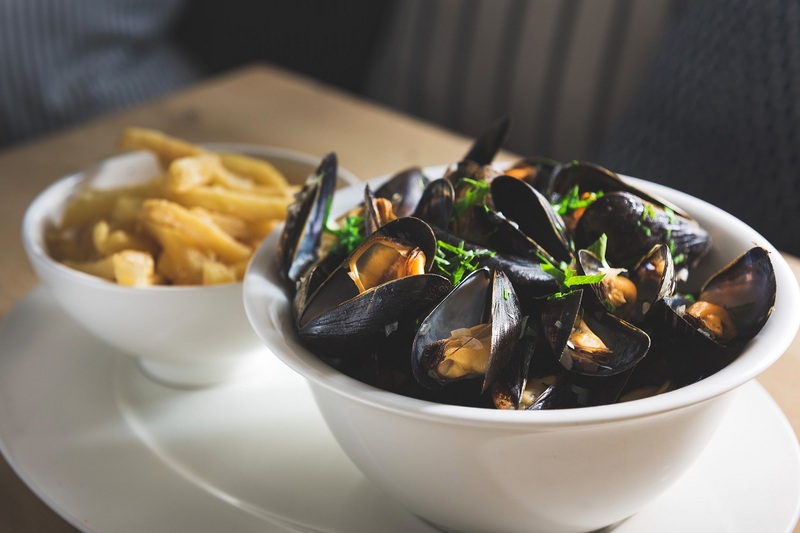 By day, we have something for everyone – light seafood dishes, set menus and dishes suited to more leisurely long lunch with a glass of wine or two. 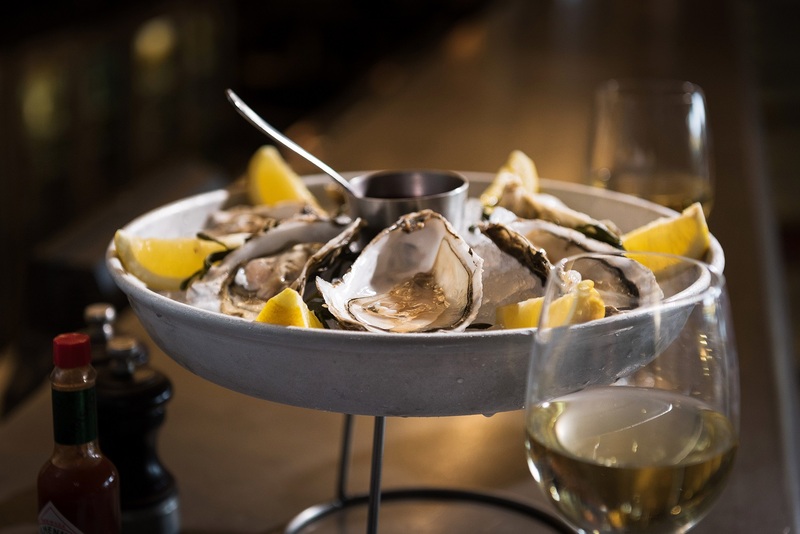 By night the pace slows to a more intimate and cosy experience, with fresh fish and seafood and its very best. It would have been nice to see a few more fish dishes on the set menu. Excellent food, brilliant service from our Aussie cricketing waiter, well worth a visit. I had a 2 course set lunch. Hake fishcakes were dry and the few salad leaves had no dressing. Choc pot and honeycomb was delicious. Where to start. We were so disappointed with this experience. Despite being the first customers at 6, it took over an hour before we were served, after querying why. No reason given. The seafood curry was extremely mean with hardly any fish, tiny portion of rice and salad. Monkfish lovely but only veg a pile of wilted watercress. Chips awful. Small and undercooked. Disturbing though and concerning that gf menu does not mean this. Food fried in same frier as other gluten foods apparently. My husband is coeliac and would have been made really ill if we had not double checked this. For a restaurant of this calibre this is pretty appalling. The service was brilliant. Staff were really friendly and went above and beyond to cater for allergies etc. 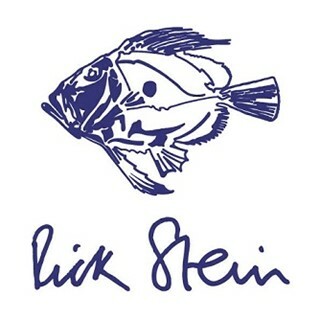 My Husband is a little Rick Stein Fan and I surprised him on his birthday to a meal out. I can not speak highly of the staff, their friendliness and professionalism. The food was exceptional. For starters we had the fresh walnut bread and a Thai chicken salad  and for mains we had the crab pasta and the seabass. The only Minor was the location of the bathroom which was located on the top floor . We sat downstairs and it was quite the journey to get up the top. Not so convenient. Great food, as we had expected but on the day of visit it was quiet and everyone else was seated downstairs and we were the only table occupied upstairs for the entire duration of our visit. As you can imagine we felt a bit second class citizen about the whole experience and would have waited for a table to come free downstairs if offered..
Fabulous lunch (again). We ate off the main menu which is a bit pricey but the food was delicious so worth if for the experience. Thank you. Meal was nice. Nothing extraordinary. Good use of a previously derelict building. Service good. The food was good but not exceptional and a little pricey for the quality. 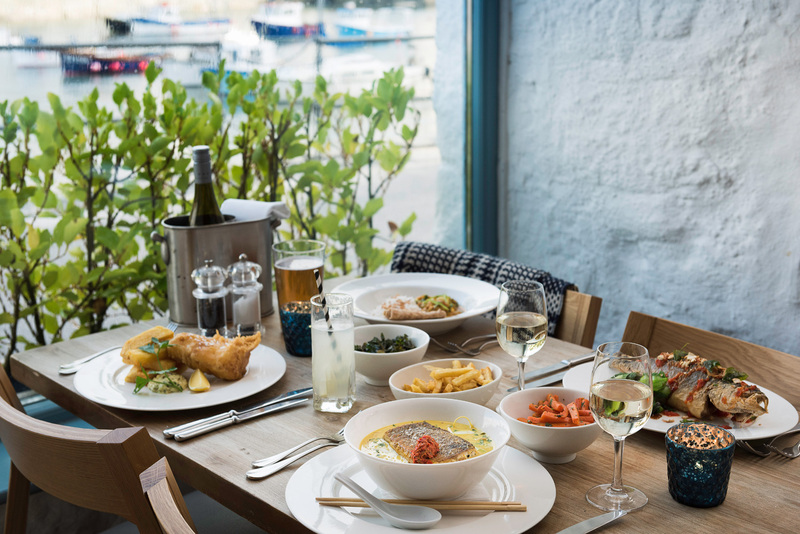 Perhaps our expectations were too high, having been big fans of the Rick Stein television programmes, but this was just an average dining experience. My first course, grilled herring fillet, was quite small and the main course, monk fish on a bed of new potatoes was quite bland. Don’t get me wrong, there was nothing wrong with it, but I just expected more flavour. Exceptional service, atmosphere and great food. Loved the fish and chips and lovely tartare sauce. Delicious food, great service & clean tables our 4th visit. We will be back. 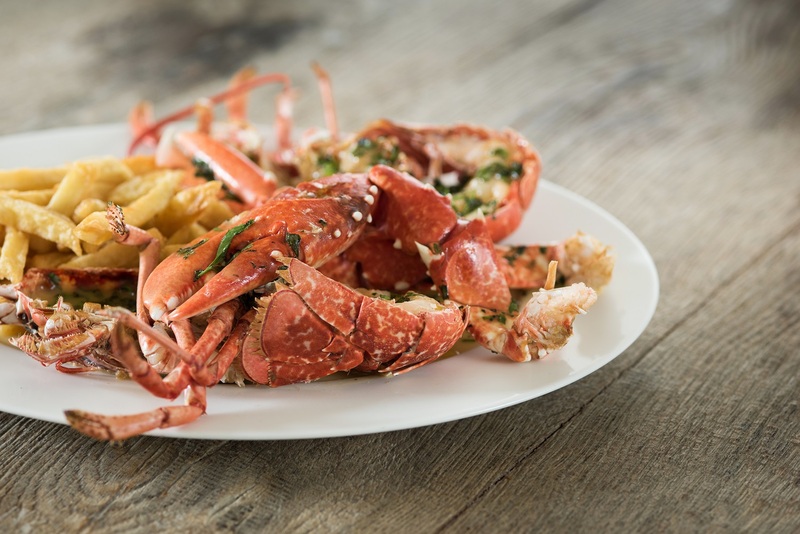 Having eaten at the Seafood Restaurant in Padstow a few times in the past, enjoyed Rick Stein's programmes and books (and made many of the recipes myself), this wasn't up to scratch, sadly. The restaurant itself is lovely and the staff delightful, but the food didn't deliver. The hake main was drowned in an insipid, grey bisque, the crab linguini was sadly lacking in crab and flavour, meanwhile the mackerel filet starter was measly. There are a lot of excellent restaurants in Porthleven now, don't respond on your laurels, Rick! Excellent kids menu and really good value for them. Fortunate that the children had their first choices as only very few available and we were the first to be seated. Set menu was good and again good value. The standalone meals could have been a bigger portion size. Allowed the dog in and the service was efficient and friendly. Service friendly and efficient. Great lunch time menu. Loved “Charlie’s choice” of house wine. Always first choice when in Porthleven. We were disappointed. We arrived at 8.30 for our table yet did not even get a drink until 9.15 and that was after chasing. We ordered appetisers as time was getting on and we were peckish but then our starters arrived before them. We were then offered to have them before our mains, disappointing and not what I expected from this restaurant. I had bought friends who were visiting from Oxfordshire so I did not want to ruin our evening by getting worked up on the night and so we just tried to relax in each others company however with inattentive service this was hard to do. The waiter had time for us and was very friendly after the restaurant quietened down however I feel this was too little too late. The vegetarian aubergine main was also disappointing, lacking depth and was rather tough. Fantastic service from the waiter - he was happy to engage in conversation. Lovely that the waitress asked if we would like our meals cooking straight away or waiting until after our starters - this is something other eateries often miss! Enjoyed our visit . Would recommend to friends and family .